Most transit agencies have been through some version of this scenario: In one part of the city, buses drive around stuffed like sardine tins, while elsewhere they can be all but empty. Car drivers mock the empty buses in low-density parts of the city. Some elected official picks up the banner, demanding that the transit agency stop flagrantly wasting taxpayer money by running these money-losing routes. If you hear echoes of the federal fight over Amtrak, you’re not going crazy — it’s the exact same conversation. And it merits the exact same answer. As transit consultant Jarrett Walker, the mind behind the Human Transit book and blog, sees it, every transit agency needs to make a trade-off between ridership and coverage. The agency can focus on routes with high ridership — which makes the most sense environmentally and financially — but then large swaths of the area will have no service at all. It simply doesn’t make fiscal sense to serve low-density areas, or areas without a complementary pedestrian network, with transit. Not enough people will ride it. But if you cut that service, you’ve cut off a lifeline to people with disabilities, seniors with no other transportation options, people with low incomes, and others. “Social benefits of public transport, such as accessibility for persons who cannot drive, tend to be based on the severity of need among certain population groups, rather than the level of patronage to be gained by meeting this need,” Walker wrote in a 2008 paper in the Journal of Transport Geography. The people served by a low-ridership route might not be populous enough to make a route through a low-density area particularly profitable, but the service is still valuable. It serves a goal of coverage, not ridership. Walker encourages transit agencies to have the ridership-versus-coverage conversation publicly and without shame. They should decide upfront, with community input, what percentage of their resources will be spent on routes with high ridership and what percentage will be devoted to broadening the geographical reach of coverage outside those high-ridership zones. Coverage service isn’t just about social equity and serving the poor and down-trodden, either. It can also seek to include suburban routes in affluent areas where most people have cars but their taxes help fund the transit service. Sometimes “equity” just means making sure everyone who pays in at least has the option of using the system, whether they do or not. High-ridership routes, which are the emissions-reducing powerhouses of transit, can support frequent service all day long or at least at peak times. “Coverage” routes don’t solve any environmental problems but do address social and geographic equity, and the service tends to be of poorer quality: infrequent and circuitous. Success in coverage is measured by determining what percentage of residents and jobs are within a certain distance of transit service. Those numbers need to be filled in by the transit agency setting the goal. Once that goal is set — ideally in consultation with the public — transit agencies have a transparent and easy reply to constituents angry about cuts to low-ridership service. Rather than debate the benefits of that particular transit service, those people would need to lobby for a change in the ratio of ridership-to-coverage. The distinction between ridership lines and coverage lines may fall into a gray area, too. “It may very well be that an existing route is 50/50,” Walker said. “It might be that geographically half the route is coverage and half of the route is ridership. In some cases, there might be a route that has good land use patterns, good indicators of high ridership, but that has lousy ridership because it doesn’t have enough service.” He said he considers Robertson Boulevard in Los Angeles to be a ridership line, even though it has low ridership, because well located to be a booming route — if only it ran more than every hour. Empty buses might not be evidence of failure on the part of the transit operator… but they are certainly evidence of failure of urban planning. If cities were better designed, more walkable and with dense mixed uses along transit corridors, the need to run empty buses just for coverage would be much, much less, since people who want or need to be near services or transit lines could find housing in walkable areas near services or highly-used transit lines. It would be a lot easier for me to respect these sorts of arguments if the people making them were simultaneously demanding the return to greenspace (or the immediate and rapid densification) of underused roads and parking lots. Otherwise it just boils down to “subsidies for me but not for thee”. Comparing empty (or nearly empty) buses with empty freeways or parking lots is not at exact comparison: Highways and parking lots “just sit there”, while the bus has a driver collecting a paycheck and fuel that is being consumed. On the other hand, one trick that anti-transit critics sometimes use is to photograph a bus or train near the end of the line, where (unless the terminal is a big park & ride station) it’s quite reasonably to have just a few or no remaining riders. Service, yes – but why run an entire 60+ person capacity bus to an area you know will have only a few riders? Why not arrange smaller vehicles for those more isolated routes and save gas? Because the main operational expense is not the larger vehicle and its fuel expense — it’s the driver, who costs the same whether he’s driving a 45 foot coach or a 12 passenger shuttle van. Yes, theoretically you can use a cheaper driver for the van, but labor market realities make that unlikely. A fleet of buses of different sizes increases operational complexity — think more certifications for your mechanics (for different engines), more fuel contracts (if the smaller buses run gasoline vs diesel, which is typical), less engine life on the smaller buses (also typical) and less flexibility in vehicle choice for a given bus run. IIRC, I think Jarrett’s book explains all of this. Au contraire, highways, airports and parking garages all have operational costs even when empty. For highways, think traffic operation / traffic management centers, highway patrol, freeway service patrols paid for with public dollars, 911 dispatch centers and Calstar (our helicopter ambulance service on standby 24/7). The Bay Area international airports have air traffic controllers, ground controllers, TSA, security, maintenance, and who knows what else. Parking garages will have, at a minimum, a security guard or police presence to protect the property. All of these facilities have energy costs associated with them, too. Think lights. This article addresses one reason to run empty buses (geographic equity) but there’s another, related reason which is to provide a comprehensive system that riders can depend on to get wherever they’re going whenever they’re going, even if they don’t use it in some places and at some times very often. An easy example of this would be a route that serves high commute peak ridership but then also runs service throughout the day and later into the evening, when it has lower ridership. Although any given rider may typically use it only during the peak, the other service hours provide flexibility to run errands, stay late at the office, go in late after a doctor’s appointment, etc. So that rider can rely on the service to meet a wider variety of needs than just the peak commute, and his/her household may even be able to shed a car as a result, leading to even higher transit ridership. Thus the low-ridership services do serve a function in supporting a system that provides dependable transportation for more than just one or two specific purposes. I feel like I need to toss out the other point of view. In the Baltimore area a group is advocating for more and better service to so that the poor can reach suburban jobs and also make it easier for the carless poor to live in the suburbs. I’m fine with that except even the advocates admit that, since the pie isn’t going to get any bigger, frequencies on higher volume routes in denser parts of the city would need to be cut. That will only make it harder to live car free or car light in areas where population densities should make high quality transit a realistic possibility. This only reinforces the perception that public transportation is only for the desperate and that any decent person uses a car to get around. I’m also concerned that by helping employers in the suburbs get access to low wage workers by providing super high subsidy bus rides, the public is giving another subsidy for sprawl. Very true, but not as obvious to the casual observer. Most of the activities mentioned above are “behind the scenes”; they still require workers on a payroll, but they’re not rolling down the street for all to see. It’s a case of perception vs. reality. Also, airports are outside the general realm of local transport that is the main focus here. For what it’s worth I call this “issues of network breadth and depth”. And I argue these decisions should be made by regional transpo planning organizations, not the transit operator/s, because the operator is mostly focused on budget issues (justifiably so). If we want network breadth but the metrics for individual bus utilization make certain routes less well performing, that’s the justification for providing add’l funding for those routes, from other sources perhaps, rather than eliminating the route. Yet rural and surburban America wouldn’t survive if left to absolute market forces, it would be too expensive to live there. Try paying for infrastructure using purely market forces, paying the true cost of roads, water, etc… There wouldn’t be enough money to go around to all of it, at least not in the degree demanded.This is why government exist, to help supply these needs because it would cost too much for the individual and small communities to do so. Want to have all your streets and roads provided and paid for by free markets? The technology exists to bill you for every mile you drive and differentiate the price by type of road. That would be a free-market road system, but it is not what we have now. (And of course you are willing to pay for all your parking spaces at market rates, right? But right now, your car use is subsidized by all of us, whether we drive or not. The streets are paid by local taxes, the highways by federal revenues (no, gas taxes don’t cover) and parking is folded into the price of all goods and services. Rural America, real farm country, is something we all subsidize because we need farms. Suburbs, we subsidize because of political decisions. Neither is a free market scenario when it comes to trnasportation, or, for that matter, care for the elderly. Realistically, if transportation were entirely left to the free market you would have most people living in higher density. The cost of transportation built to modern standards in low density areas would be beyond the ability of most people to pay. End result would be dirt roads in rural America, as was the case a century ago. That’s all a low density community can really support without subsidies. Suburbs largely wouldn’t exist at all. The basic premise of suburban living is all the amenities of urban living (i.e. electricity, running water, not needing to grow your own food) without the density. That only works with subsidies unless you want to make it cost prohibitive for all but the wealthy. Again, the result of no transportation subsidies would look like what we had a century ago. The suburbs were largely havens for the rich. The working class who didn’t live in large cities largely lived in towns clustered around railway stations. The fundamental problem is infrastructure to support modern living with houses on 1/2 acre lots is very expensive per capita, far beyond what most people who want to live that way are willing or able to pay. Yes, but buses (and trains) have nearly the same operating costs whether they are full or empty. Empty buses aren’t exactly saving fuel. Empty highways means less fuel wasted and less need for highway service patrol. So let’s talk about all of those empty cars with a single occupant when the freeways are jammed full. You read my mind: that’s exactly the interchange I had in mind earlier. I’m not sure why so many people make such a big deal out of public transit like its ‘wasting our tax dollars’ . So many programs waste our tax dollars at least this one employes Americans and transports Americans. This country spends more on foreign aid then it does on transit yet these same people don’t whine about that. Anyway I agree with Walker completely. Suburban development should not be subsidized. Not sure why anyone even considers this a valid argument. Market-rate automobile streets would be a very welcomed development. And increase property taxes on traffic property, while providing tax refunds to owners of property that is devoted to public greenbelts. This is yet another example of government gone awry. Then provide a taxi stipend for the few users, and devote resources to more deserving areas. A bit late, but something to consider: Every ridership route inherently fulfills a coverage goal, but every coverage route does not accomplish a ridership goal. As an extreme example, nearly every bus route in the NYC MTA system operates frequently, within a grid system. These routes are ridership routes, yet also provide basic coverage to the entire city. At the same time, the hourly-ending-at-7pm shuttle bus way out in the exurbs covers a large area, but runs empty. This route is clearly a route designed solely for coverage, but does not accomplish a ridership goal. What the long term goal should be is to ultimately convert as many coverage routes as possible to coverage+ridership routes. In both of his books, Paul Mees talks about the success of the TTC in Toronto at providing high ridership service in suburban-density areas. For instance, this route http://ttc.ca/Schedule/schedule.jsp?Route=36W&Stop=FINCH_STATION in a typical city would probably operate about every 15-30 minutes, with the last bus sometime around 10 pm or so. While the hypothetical route wouldn’t be as empty as some other community shuttles that follow a loop, it would still be rather low performing. The TTC has managed to progressively convert what would be just coverage routes in other cities into very high ridership routes that also accomplish a coverage goal. Not a valid point, since those same people in the suburbs for the services whether they be employers or employees, not the inner city poor who use it and generally don’t pay/cover the cost of its existance. Median income for a 4-person household in San Francisco is $93,000. Can’t say the same for Napa, Ukiah, or most other suburbs in California. Not only that, the incrememtal cost of providing bus service to one additiona rider in Manhattan or SF is a fraction of what it cost to maintain 10 miles of MiddleOfNowhere suburban roadway. One thing left out is that coverage routes can also boost ridership routes, as they act as feeder to these high ridership routes. In many cases, some high ridership routes would not have high ridership, if it was not for the transfer of passengers from less busy routes. American cities in general have very poor coverage goals if any at all, and I fully disagree with not telling an agency what their coverage goal should be. If you want transit to actually be a viable alternative to the car, and to provide access for all regardless of access to a car. Then you have to have a transit systems which provides transit within a reasonable walking distance of over 90% of the population in the service area. If you have swaths of your metro region without transit, then it just increases the issues we already see in metropolitan America, with access to jobs, services, etc. Canadian cities are much better at setting clear goals and ensuring all areas of a metro region recieve transit service, allowing one to access the entire metro area by transit. Just as important as coverage is minimum service levels. 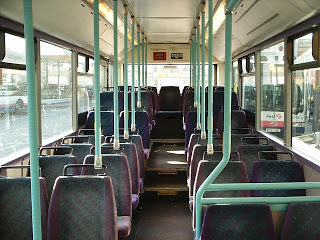 We can’t expect people to use a bus which operates every hour. Great point. 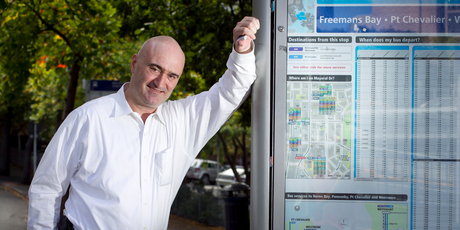 Paul Mees is the one who got the idea of transit service right. We have to stop treating low density areas as not worthy of quality transit. As Toronto shows, it can be done. But you actually gotta build a transit network that is designed for everyone, and not just as a social service. Treating coverage services as a social service is a huge problem, and will not lead to a transit system that attracts riders. The article references a high income area as having a bus route because they pay taxes into the system, but that they won’t probably use it. My question is why won’t they use it? Toronto and many other cities have plenty of high income areas with frequent service that gets used. One low density high income area in suburban Toronto even fought to preserve their local bus route, and not have it merged in with another bus route. And this is in an area where the average family income is well over $200,000 a year. Who uses a bus in a neighborhood like this do you ask? Easy. Parents use it to commute to the subway, to go to work. Transit usage rates in this neighborhood for work trip are just as high as lower income areas. Kids use it to go to school, or go to the mall, or into the city. Seniors use it. But under most planners criteria, this neighborhood would be lucky to have a bus every 60 minutes. Instead under the TTC, they get a bus every 20-30 minutes seven days a week. And people use it. As Paul Mees said. We have to stop thinking of inner city vs suburbs, high density vs low density. In a network, all services have to be top notch, and they play off each other in a network effect. There really is no discussion to be had about coverage vs ridership. Because without coverage to all points of a region, you won’t have the ridership. If schedules are frequent and routes comprehensive, the riders will come. Look at any area which has good coverage. People find the convenience of public transportation if it is there when they need it. Traffic on streets and highways – filled with gridlocked automobiles and trucks – becomes an ever greater problem. The only solution is adequate public transportation. North-South traffic between Richmond and Washington gets worse in spite of building more roads – more I95 lanes. Very expensive real estate for taxpayers, both to build and to maintain! And it generates ever more traffic. Roads are expensive. As with railroads, passenger traffic does not generate profit. But public transportation is necessary for an efficient, effective modern civilization. In the overall picture, adequate public transportation is far more economical than not having it. Look at the economies of cities such as Philadelphia and New York. Commuter trains have had an essential role in generating their prosperity. Virginia needs to get with it!